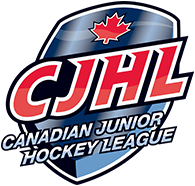 The Trail Smoke Eaters look to rebound in Game #4 of their Interior Division Semi Final against the Vernon Vipers on Wednesday night at the Trail Memorial Centre with a 2-1 series lead. The Smoke Eaters dropped their first game in the playoffs since their opening contest in the first round after a 4-3 loss to the Vernon Vipers on Tuesday night in Game #3 of the Interior Division Semi Final at the Trail Memorial Centre. Kent Johnson scored a pair of goals in the game while Carter Jones added a single in the defeat with Donovan Buskey turning aside 26 of the 30 shots he faced in the game in his 2nd loss of the postseason. A Smoke Eaters forward that has had plenty of offensive success in the series is Carter Jones and the Hillyard, Washington native has gone about a very strong playoff run thus far. The Bemidji State University commit, collected a goal and an assist in Game #3, his second straight multi-point night and has now earned points in each of his last four games. The Hillyard, Washington native has goals in three straight games as well as owning three goals and four assists for seven points during his four-game point streak. It was a first in the young playoff career of 16-year-old forward Kent Johnson who scored a pair of goals in Game #3 for his first career multi-tally game in the postseason. The University of Michigan commit leads the team with 6 goals in the playoffs and tied for 4th in the BCHL in goal scoring. The Port Moody, BC native also scored the Smoke Eaters first power play goal of the series with his marker in the opening period. As Trail heads into a big Game #4 of the series and looks to take a 3-1 series lead back to Vernon on Friday night, history is on their side in looking to do so. The Smoke Eaters were outstanding in Game #4’s a season ago, posting a 3-0 record in those games including outscoring their opponents by a 17-8 margin in that span with two of those three games coming on home ice before earning a 3-2 victory in the Interior Division Quarterfinal against the Merritt Centennials in Game #4. The Vernon Vipers picked up their first victory of the Interior Division Semi Final against the Smoke Eaters on Tuesday night in a 4-3 win in Game #3 at the Trail Memorial Centre. Jesse Lansdell scored twice while Coleton Bilodeau and Connor Marritt added singles in the win for Vernon with Aidan Porter turning aside 30 of the 33 shots he faced in his 5th win of the postseason. One of the better offensive producers for the Vipers came through in a big way in Game #3 as Jesse Lansdell registered two goals and one assist for a three-point game and is the first Viper to double digits in points this postseason. The Notre Dame University commit has collected three multi-point games in these playoffs and scored the game winning marker late in the 3rd period to give the Vipers a 4-3 lead. Acquired midseason from the West Kelowna Warriors, Vipers forward Matt Kowalski has had a strong stretch of games for the Snakes over the course of the playoffs. The Vernon, BC native has points in five of his last six games, earning four goals and two assists for six points in that stretch and sits 3rd in team scoring with those six points this postseason. The Vipers have had a mixed bag of results when playing in Game #4’s of series over the past three seasons, holding a 3-2 record in the big swing games. 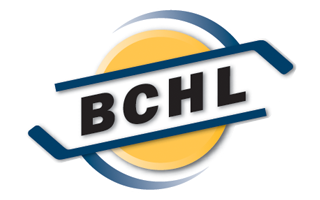 Vernon has been outscored by their opponents by a 13-9 margin in that time including a 5-2 setback to the Smoke Eaters during the 2017 playoffs in the Interior Division Semi Final. The Smoke Eaters and Vipers will drop the puck on Game #4 of their best-of-seven Interior Division Semi Final series at 7:00 PM from the Trail Memorial Centre. Tickets are available for purchase at the Smoke Eaters Main Office as well as at the door ahead of the opening face-off.